NEW YORK, NY (April 16, 2014) – So what do you do when you have North America’s best-selling car for the last twelve years? You find ways to make it even better. That’s exactly what Toyota did with the introduction of the new 2015 Camry. 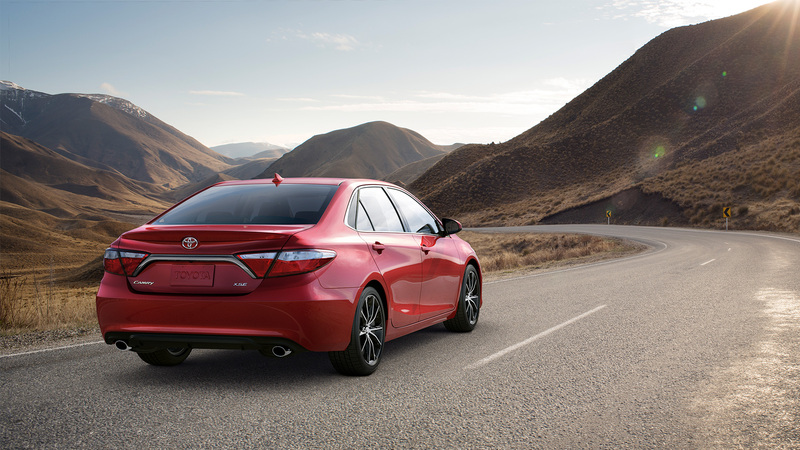 Toyota stripped it down to its chassis and rebuilt it from the ground up, raising the bar yet again in the ultra-competitive mid-size sedan segment. The 2015 Camry’s exterior is more expressive and athletic with prominent character lines. The new car is slightly longer (1.8 inches or 45 mm) and features a widened track (0.4 inches or 10 mm) that communicates a dynamic stance and presence. 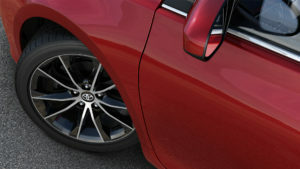 A pronounced body line starts from the Camry’s muscular front fender and spans across the doors and rear quarter panel, conveying a sense of motion. The completely revised, more aggressive front bumper cover features a wider more prominent trapezoidal grille shape, expressing a lower centre of gravity. 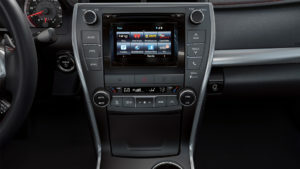 The interior of the new Camry is more refined than ever with premium materials, roomier feel and improved amenities. The centre stack features a high-tech, upscale look that smoothly integrates with the console. The centre console tray has been redesigned to increase capacity while offering a convenient power source in the storage box. The new enclosed bin in front of the shifter now offers 12v, USB and a segment-first, available wireless charging system for select smart phones. 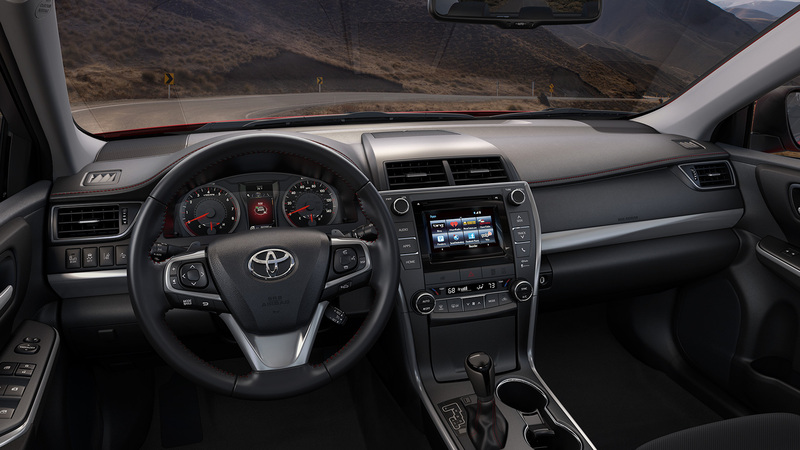 The 2015 Camry’s cockpit offers intuitive top-flight in-car electronics and displays that help reduce driver stress and distraction. 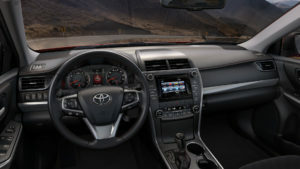 The instrument panel features a new 4.2-inch TFT screen nestled between the three-dimensional Optitron gauges on the SE, XLE and XSE models. The screen’s color animation displays a wide range of vehicle functions and coordinates with the multimedia system to display audio, navigation, warnings and communications. Detailed stitching and trim elements finished in satin chrome convey a sophisticated appearance. Varying by model, seat cover textures range from premium cloth all of the way to genuine leather and Ultrasuede with durable, high contrast French-stitching. 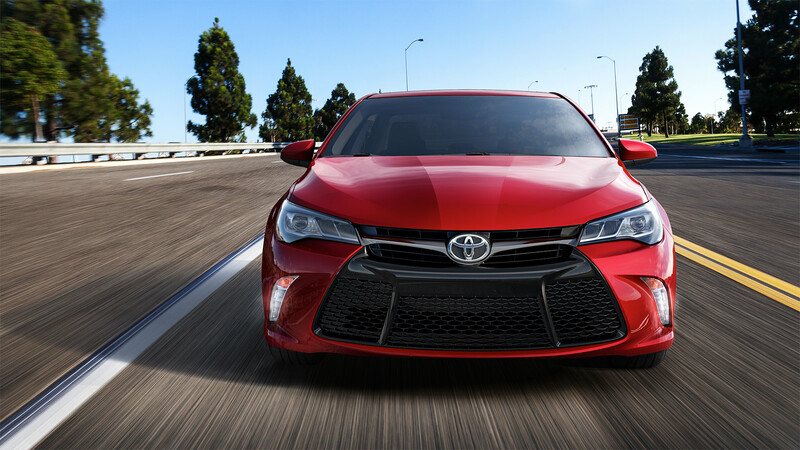 The new 2015 Camry will arrive at Tony Graham Toyota and Tony Graham Kanata Toyota this fall.